Intersystems IA-3080 Real Time Clock Board Card. 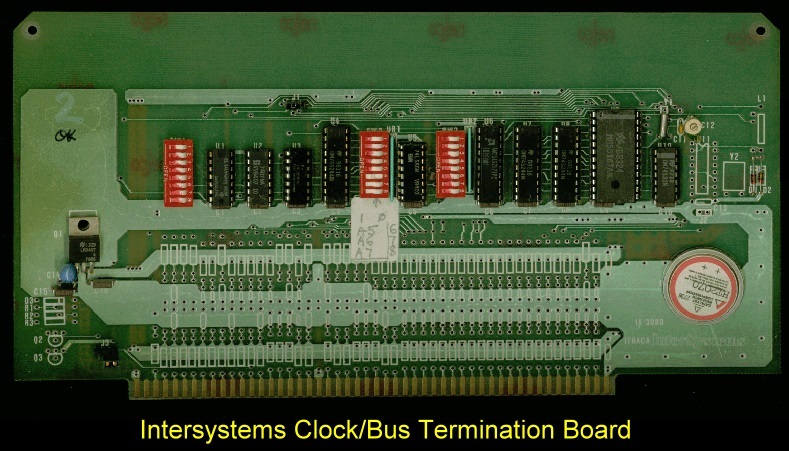 This was a very simple board Intersystems made for their S-100 systems Real Time Clock (RET). It also doubled as a bus signal termination board. The IA3080 utilized a MM58167N clock chip to retain time and date information for the system. It had a trimmer cap to allow the time to be accurate to within a few seconds a month. There was a large battery for power backup on board. Unfortunately the board required 32 consecutive assress ports on the bus. A much better solution was the ability to locally select the clock ports for example see the SD Systems IO/RTC board. A manual and diagram for the board was reversed engineered and can be found here.